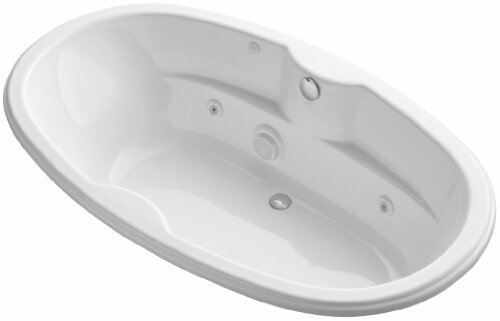 K-1131-96 Finish: Biscuit Features: -Economical yet spacious design.-Drop-in or three-wall alcove installation.-Durable and easy to clean acrylic.-Six adjustable ProFlex whirlpool jets for maximum bather comfort.-1.25-hp pump/motor: innovative technology enables this pump to provide a strong, steady level of hydro-massage. Options: -Available in the following finishes: biscuit, white. Dimensions: -Overall dimensions: 72'' H x 42'' W x 20.13'' D. Warranty: -Manufacturer's warranty. K-1148-CH-47 Finish: Almond Features: -Drop-in whirlpool.-Faucet-mount deck.-Drop-in installation.-Six adjustable proflex whirlpool jets for bather comfort.-Innovative technology enables this pump to provide a strong and steady level of hydro-massage.-Custom pump locations expand installation and pump access options.-Made in USA. Construction: -Acrylic construction. K-1148-HD-47 Finish: Almond Features: -Drop-in whirlpool.-Dramatic oval design and functional elegance.-Faucet-mount deck.-Drop-in installation.-Six adjustable ProFlex whirlpool jets for bather comfort.-Innovative technology enables this pump to provide a strong and steady level of hydro-massage.-Factory-installed heater helps maintain water temperature to extend the bather's hydro-massage experience.-Custom pump locations expand installation and pump access options.-Made in USA. Construction: -Acrylic construction. K-1148-HH-96 Finish: Biscuit Features: -Drop-in whirlpool.-Dramatic oval design and functional elegance.-Faucet-mount deck.-Drop-in installation.-Six adjustable proflex whirlpool jets for bather comfort.-Innovative technology enables this pump to provide a strong and steady level of hydro-massage.-Factory-installed heater helps maintain water temperature to extend the bather's hydro-massage experience.-Custom pump locations expand installation and pump access options.-Made in USA. Construction: -Acrylic construction. 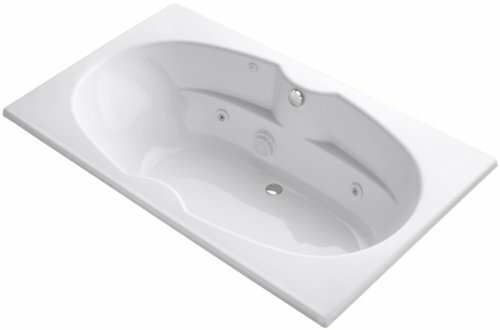 K-1131-CE-96 Finish: Biscuit Features: -Drop-in whirlpool.-Drop-in or three-wall alcove installation.-Six adjustable proflex whirlpool jets for maximum bather comfort.-Economical yet spacious design.-Innovative technology enables this pump to provide a strong and steady level of hydro-massage.-Custom pump locations expand installation and pump access options.-Made in USA. Construction: -Acrylic construction. 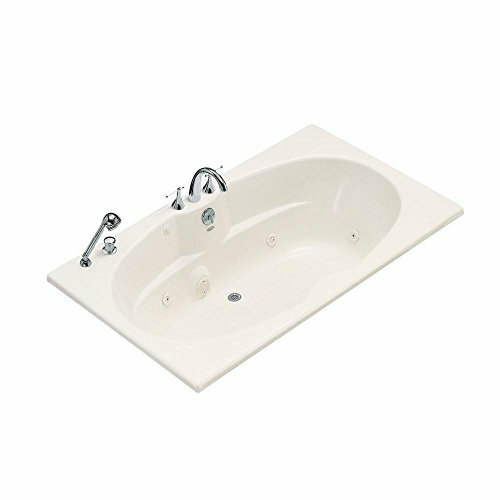 K-1131-HE-0 Finish: White Features: -Drop-in whirlpool.-Drop-in or three-wall alcove installation.-Six adjustable proflex whirlpool jets for maximum bather comfort.-Economical yet spacious design.-Innovative technology enables this pump to provide a strong and steady level of hydro-massage.-Factory-installed heater helps maintain water temperature to extend the bather's hydro-massage experience.-Custom pump locations expand installation and pump access options.-Made in USA. Construction: -Acrylic construction. Looking for more Proflex 7242 Whirlpool similar ideas? Try to explore these searches: Honda Accord Wagon Type, Standard Fireplace Grate, and Angel Themed Candles. Shopwion.com is the smartest way for comparison shopping: compare prices from most trusted leading online stores for best Proflex 7242 Whirlpool, Braid Visor, Faux Saddle Leather, Whirlpool Proflex 7242 . Don't miss this Proflex 7242 Whirlpool today, April 23, 2019 deals, updated daily.